My amico Peppe Zullo is known as ‘Il Cuoco-Contadino’. At the age of 24, Peppe left Orsara di Puglia to work in Boston and Puerto Vallarta Mexico, where he opened a restaurant. 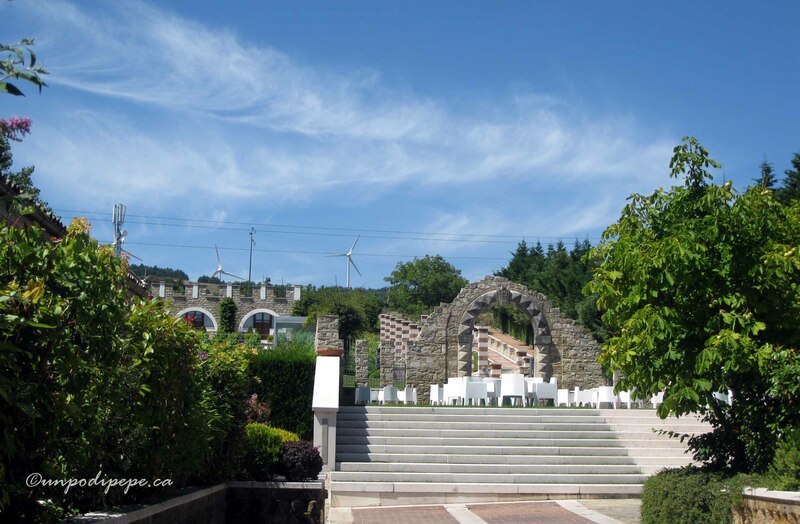 He moved back to Orsara and opened his ristorante in 1992 on his family land in the Piano Paradiso area. Piano Paradiso is an idyllic setting facing Orsara di Puglia, with spectacular views. Peppe greets visitors with the appropriate salutation ‘Benvenuti in Paradiso’. The Piano Paradiso site also includes a reception hall, Nuova Sala Paradiso and the award winning cantina. Peppe’s wine cellar La Cantina del Paradiso, designed by Nicola Tramonte was featured in the exhibit ‘Le Cattedrali del Vino’ at the Biennale di Venezia Archittetura in 2010. 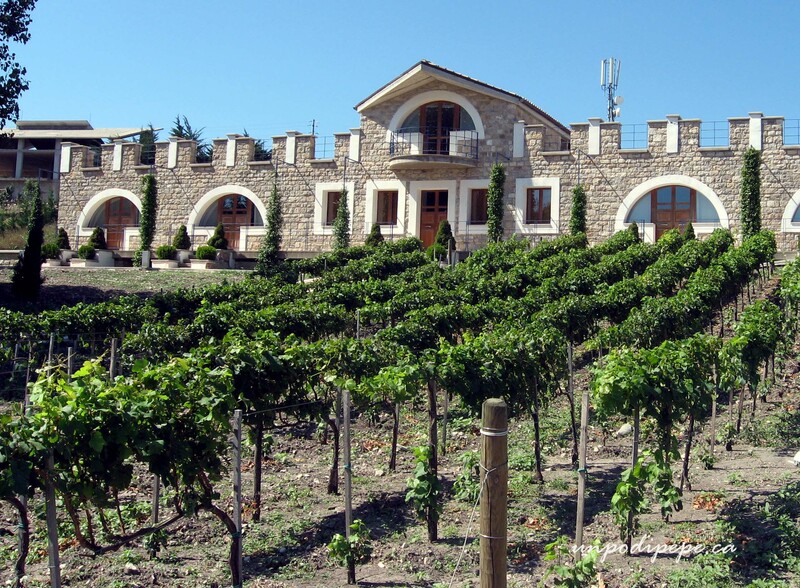 It is built into the side of a hill, with a vineyard on top! As Peppe likes to say, it’s the only cantina where you have to climb up stairs! This is the best place in town on a hot day! The cantina is built to resemble a subterranean small town with narrow streets and rooms. It also features colourful, whimsical original artwork by Leon Marino, an artist from Troia. La Cantina is full of vino! 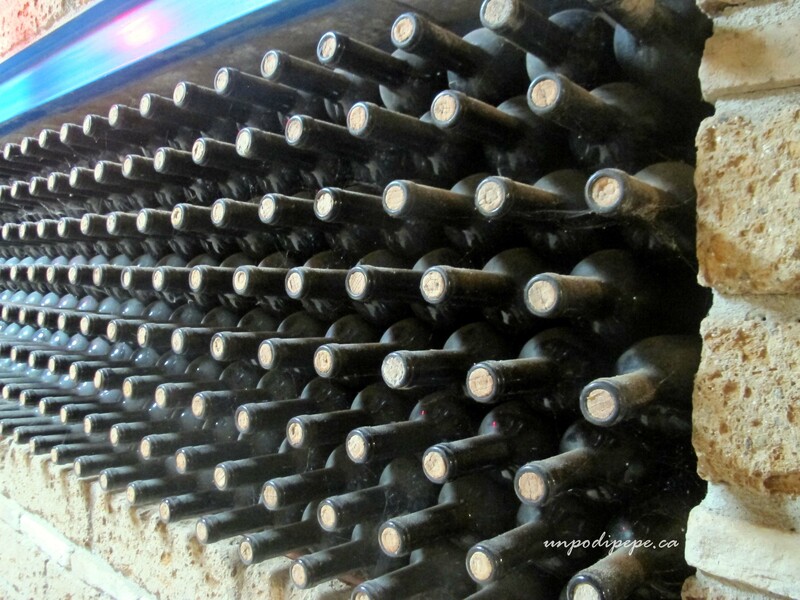 Peppe Zullo produces about 25,000 bottles per year. His 2 wines are Aliuva and Ursaria. Aliuva is 80% Tuccanese 20% Uva di Troia (Nero di Troia) and Merlot. Ursaria is 80% Tuccanese, 20% Uva di Troia and Cabernet, and is aged for 5 years in wood barrels. Peppe’s vino is served in his restaurant and event facilities and sold on site and at Peppe Zullo Point in Foggia. 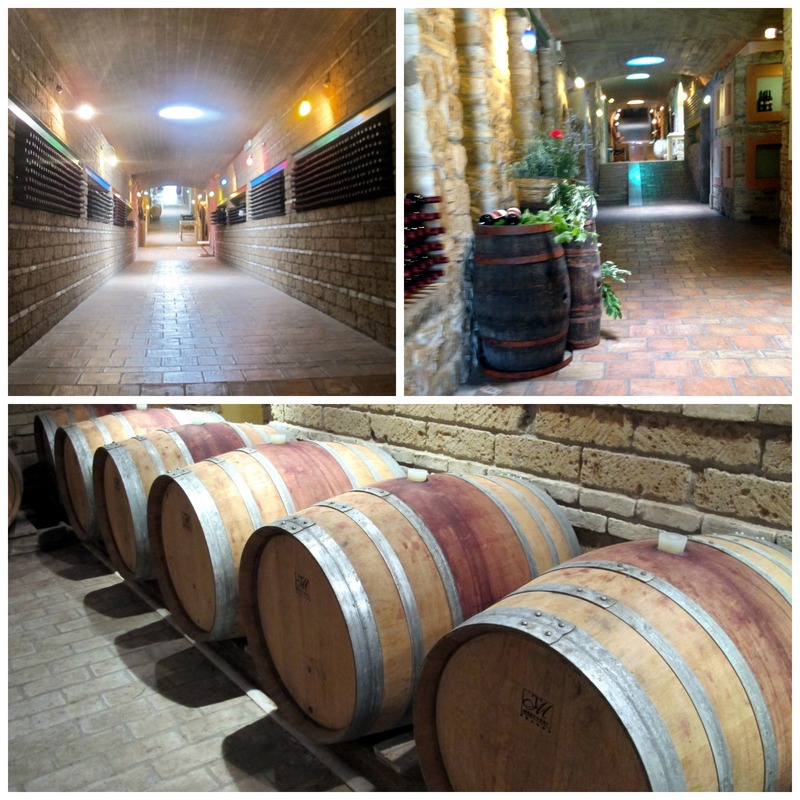 Read more in part 3 of my Vini di Puglia series- Il Tuccanese. At the top of the hill, looking out over the vigna, are the Suites del Paradiso, 5 rental suites with a view of the rooftops of Orsara. 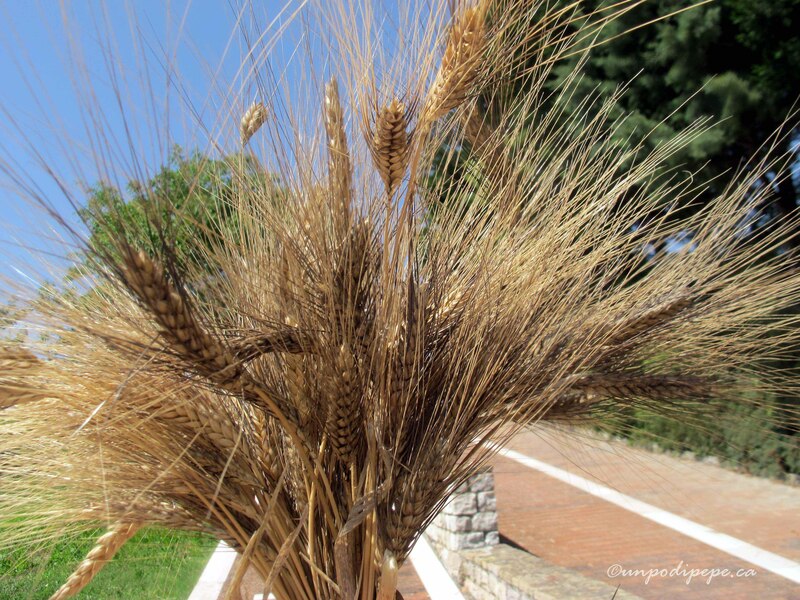 Above the suites, at the top of the estate is a wheat field growing an ancient Pugliese strain called Senatore Cappelli. We call it ‘Strambell’ in Orsarese. Pale Eoliche, wind turbines belonging to Montaguto can be seen behind the field. Also on site are Peppe’s home, offices, several places for outdoor receptions or enjoying the scenery and a fenced in area with fruit trees, sheep and horses. 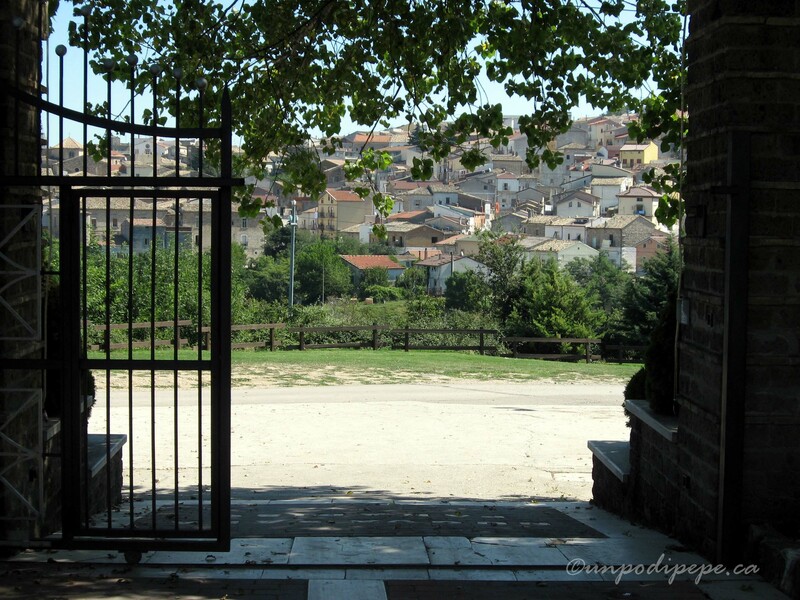 Peppe’s 180,000 m² azienda agricola (agricultural estate) also includes a second location acquired in 2004. 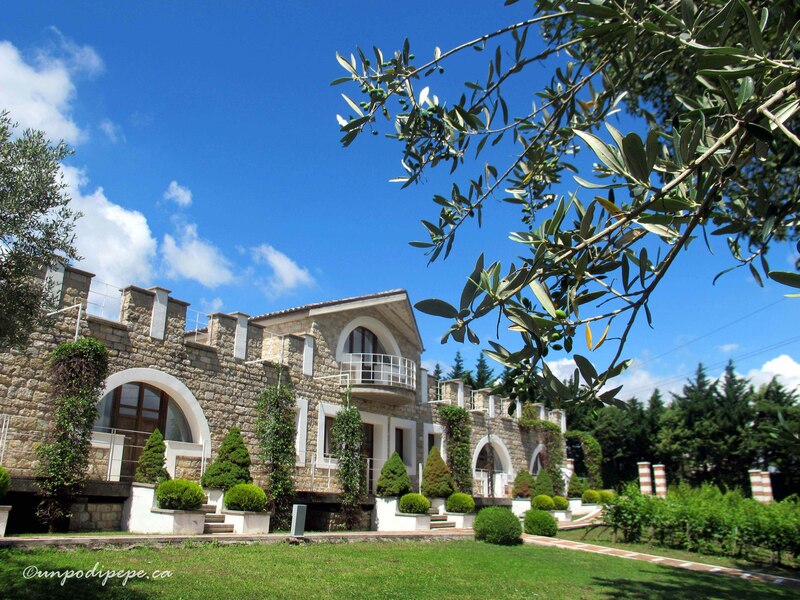 Villa Jamele is a few km down the road towards Troia. The reconstructed 1700’s villa is home to an international cooking school, with rooms on the upper floor. Villa Jamele is featured in the next post. Dalla terra alla tavola or Cibo a km 0 is the philosophy here. This translates to ‘Field to table’ or the ‘100 mile diet’. Food does not get any fresher. 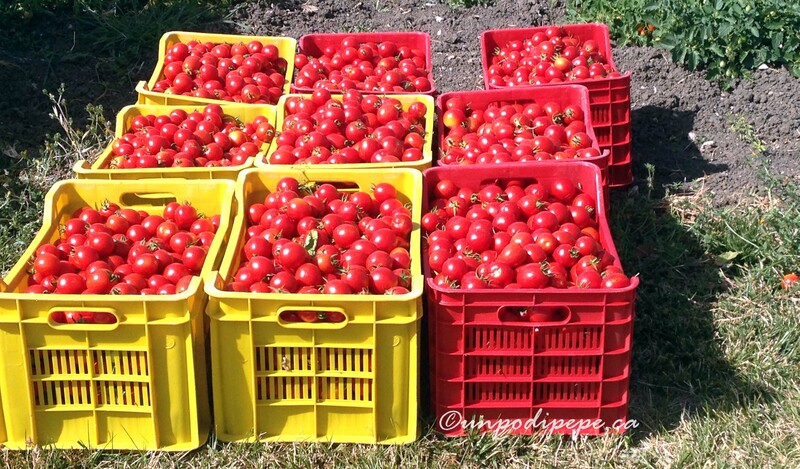 In addition to producing wine and olive oil, Peppe grows most of his own vegetables at Villa Jamele, including pomodori which are canned on site in August. 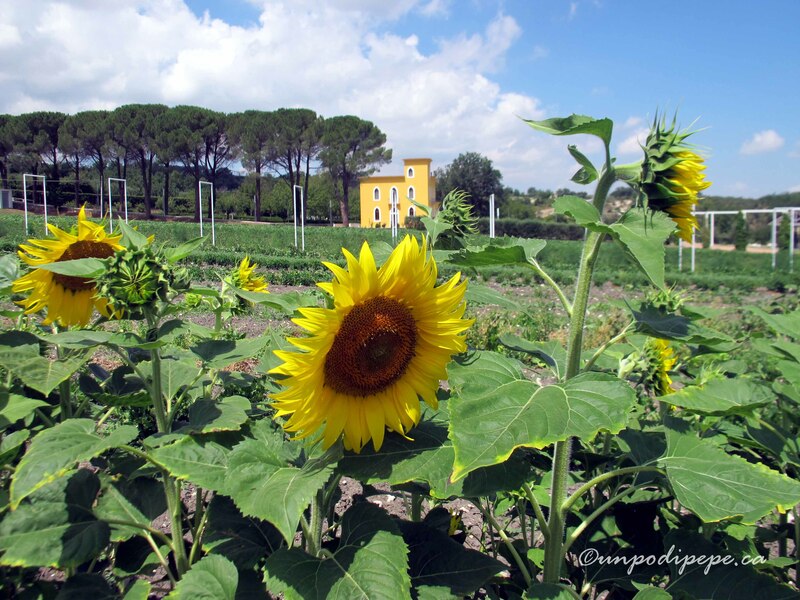 Il Bosco dei Sapori Perduti is a biodiverse orchard which includes over 50 varieties of fruit trees and herbs. Peppe uses local, traditional products including wild greens and herbs such as boragine (borage), marasciuolo (a type of wild rucola found in Puglia), fiori di zucca, wild asparagus, Greek mint and Cacioricotta, a DOP goat cheese made only in Orsara. He makes bread and pasta with zucca and grano arso and also produces his own cheeses. One of Peppe favourite antipasti are ‘ostriche di montagne’ or ‘mountain oysters’. 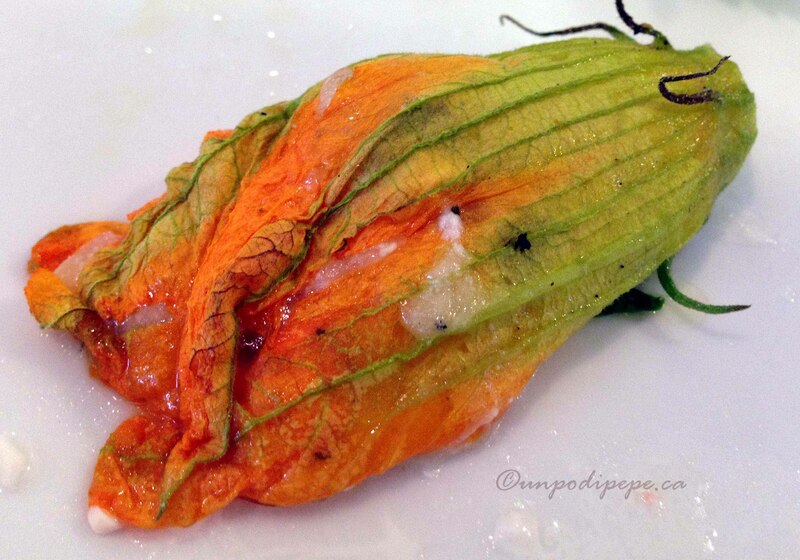 These are lightly battered and fried foglie di Boragine – borage leaves. My favourite antipasto is fiori di zucca al forno ripieni di caciocavallo! 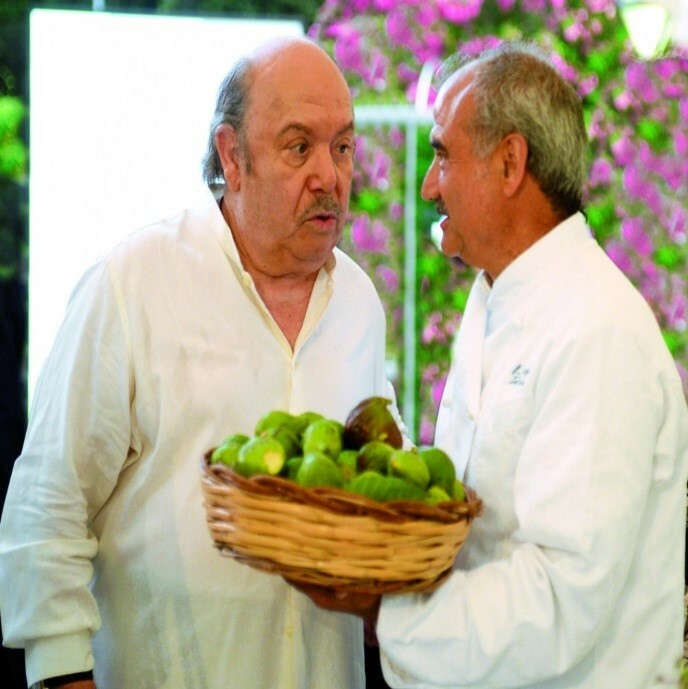 Peppe is an ambassador for cucina povera and the gastronomic traditions of Puglia. In the last few years, he has made frequent television appearances on RAI’s Uno Mattina and Geo & Geo. Check them ou on his Youtube channel. Appuntamento con la Daunia, a 2 day event celebrating local cuisine and products is held at Villa Jamele every year, the second week in October. 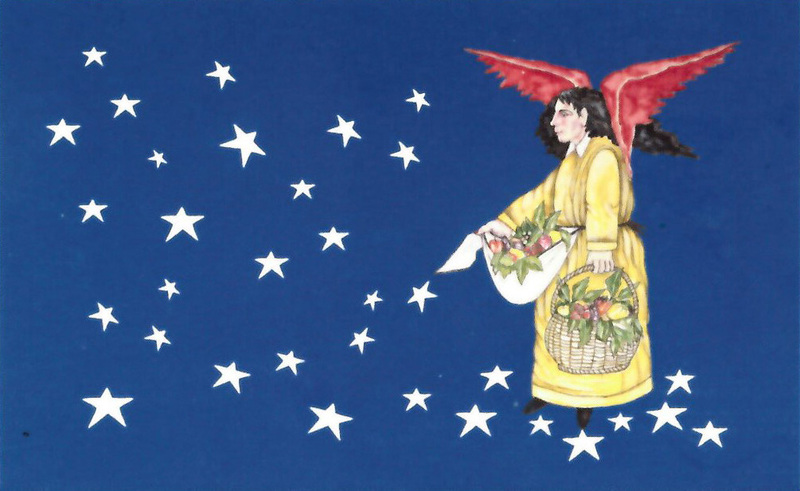 I receive an invitation every year but have not been able to attend…yet. 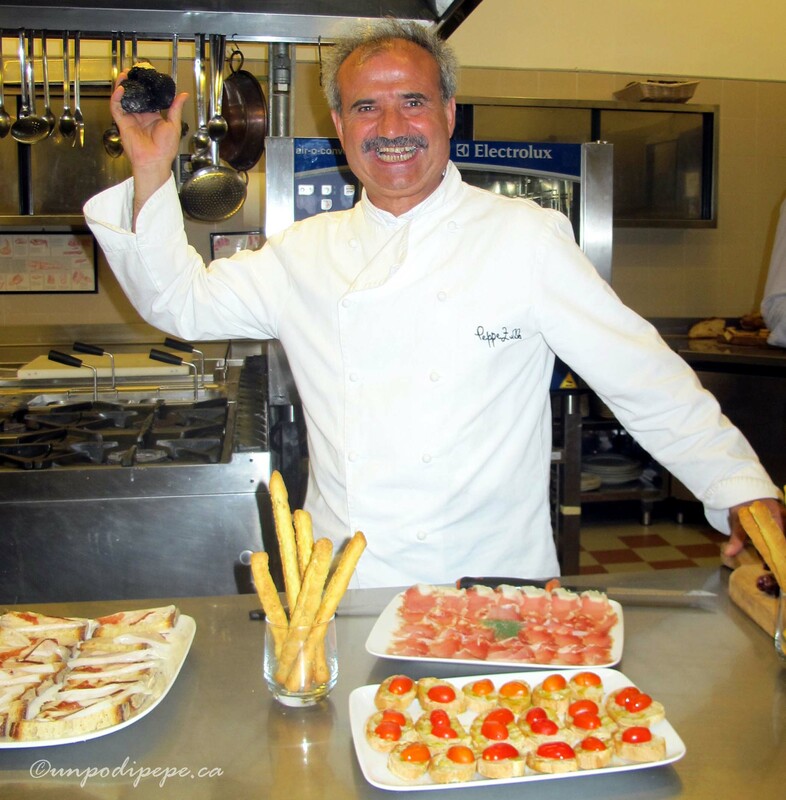 Peppe was the chef representing Puglia for the month of May at Expo 2015 in Milano. 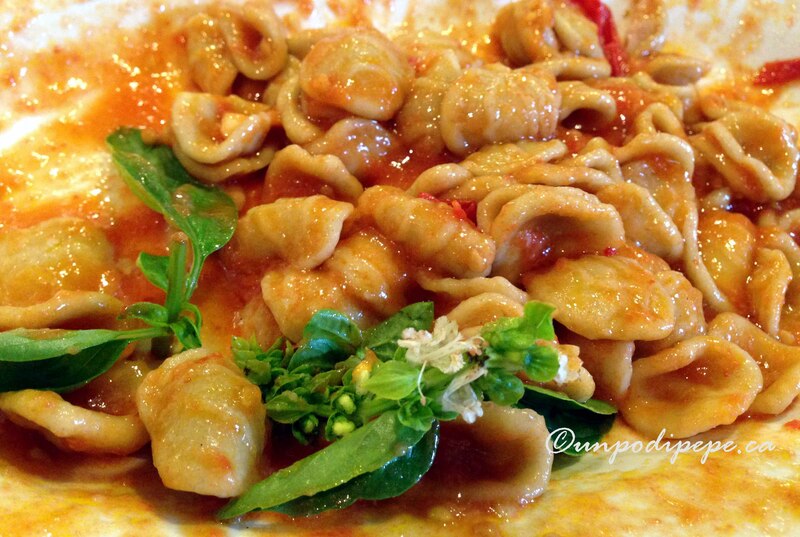 They served a lot of orecchiette di grano arso! 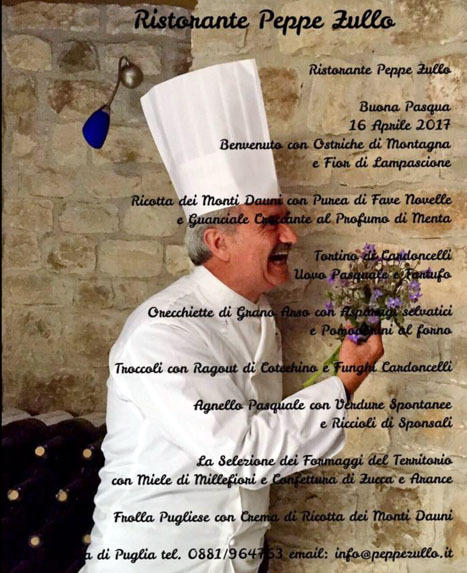 That same year, along with another Pugliese chef, he catered an Indian wedding for 1,000 guests in Borgo Egnazio, near Ostuni. In 2016 he catered the 80th birthday party for Lino Banfi-who plays the adorable Nonno on RAI’s ‘Un Medico in Famiglia’. Grazie Maria. You will have to walk over there more often this year! Loved your post .. one day we need to take some cooking classes with him .. I am dreaming this will one day come true !! 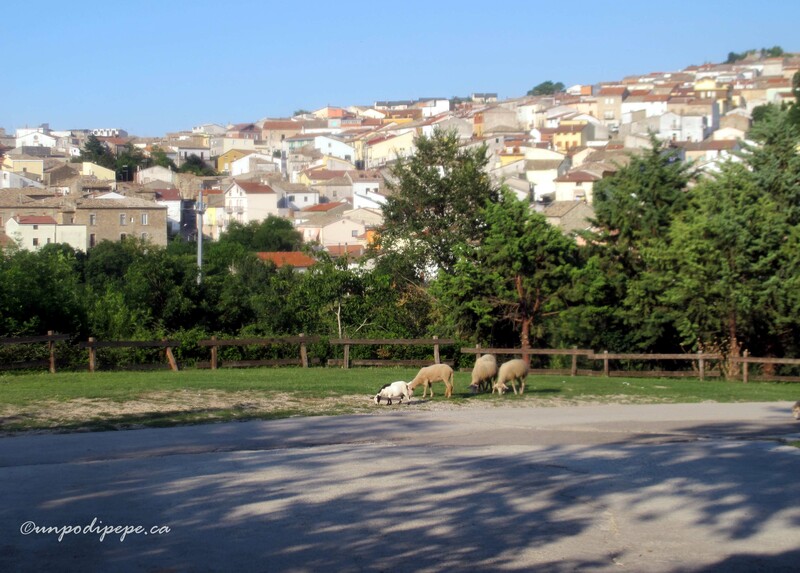 Loved this post Christina, makes me want to hurry back to the family’s hometown – who knew! Your posts are always so great! Thank for sharing and all your hard work! Wow! Beautiful and delicious! 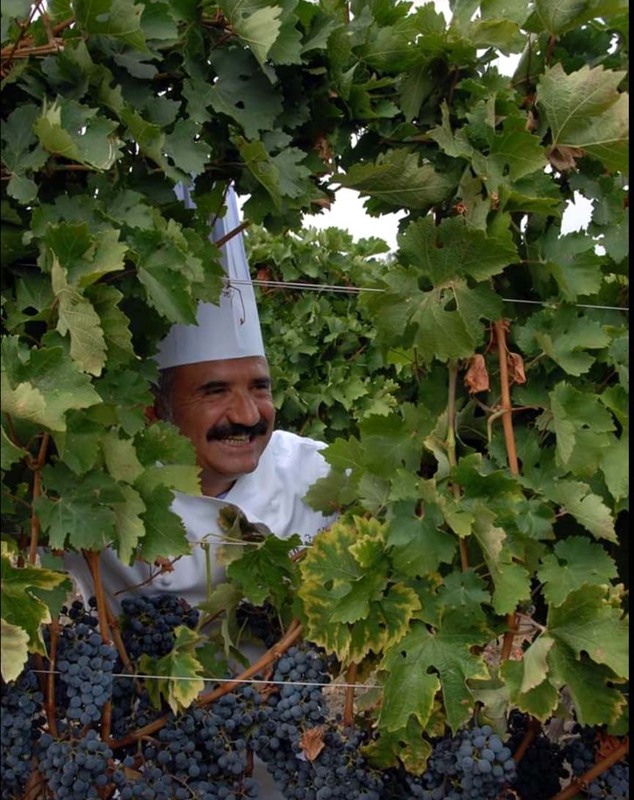 I particularly like the photo of Peppe looking through the grape vine.